Chocolate Strikes a Strike at Stroke - Mmmlingerie. A Taste of Beauty. Finally it seems that science has caught up with what we ladies knew all along. 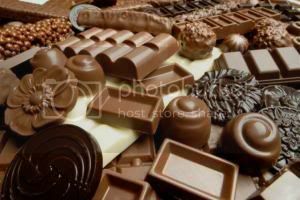 “Eating chocolate may lower your risk of having a stroke, according to an analysis of available research that was released February 11 and will be presented at the American Academy of Neurology's 62nd Annual Meeting in Toronto April 10 to April 17, 2010. Another study found that eating chocolate may lower the risk of death after suffering a stroke." To be serious for a moment, like everything else, balance is the key. With a balanced diet you are able to enjoy the finer things in life. You just need to use common sense. Over-eating on whatever you fancy is just not a good thing. As common sense is something that Oden lacks. I won't make any comments about him. At least not in this regard. "The first study found that 44,489 people who ate one serving of chocolate per week were 22 percent less likely to have a stroke than people who ate no chocolate. The second study found that 1,169 people who ate 50 grams of chocolate once a week were 46 percent less likely to die following a stroke than people who did not eat chocolate"